Palm Shores is a 55+ neighborhood in Boynton Beach, Florida. This community is an age-restricted section inside the master-planned community of The Gables. 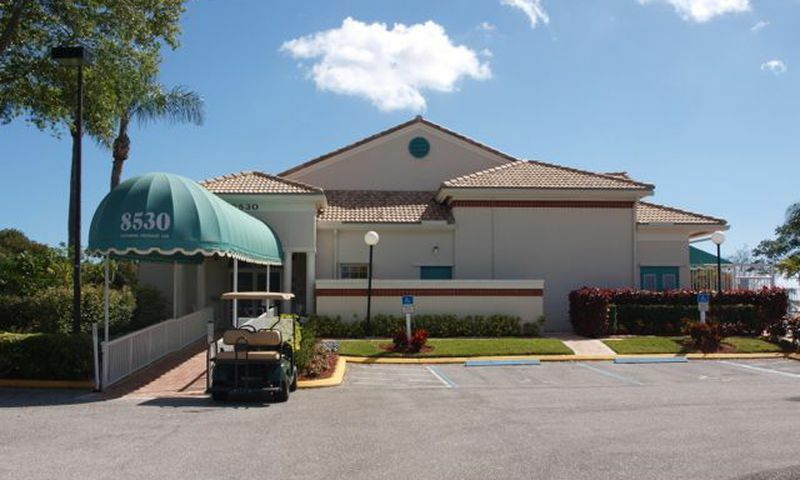 Residents of Palm Shores have exclusive access to an excellent clubhouse with amenities aimed to keep residents socially and physically active. Outside the community there are numerous grocery stores, pharmacies and medical services, as well as great shopping and dining. Palm Shores is an established community of active adults from across the country living a great low-maintenance lifestyle. Residents of Palm Shores enjoy endless entertainment and recreation inside the private community clubhouse. Here, those looking to stay in shape can utilize the exercise room with cardiovascular and weight-training equipment. For residents more interested in maintaining a socially active lifestyle, there are many options from which to choose. The hobby and game room as well as the library are great social areas. The ballroom and stage hosts singers and theatrical acts that are big hits among the residents. The amenities continue outside with a resort-style pool and spa. Residents can relax on the spacious patio to enjoy the Florida sunshine. For more competitive play, homeowners can challenge each other on the tennis or shuffleboard courts. Palm Shores was constructed between 1989 and 1993 and consists of 222 single-family homes. Single-family homes are available in this community on a resale-only basis and range from approximately 1,806 to 2,104 square feet of living space with two to three bedrooms, two bathrooms, and an attached two-car garage. Some of the great features included in these models are large master bedrooms, eat-in kitchens, and screened patios perfect for entertaining guests or just relaxing. Residents of Palm Shores enjoy a socially active and stress-free lifestyle. All residents pay a homeowners' association fee that covers general maintenance of the amenities and common areas as well as lawn care and trash removal. This low-maintenance lifestyle allows residents more time to enjoy themselves. Residents are often found lounging poolside or enjoying the company of neighbors and friends during a game of cards or while watching a performance. Located in Boynton Beach, Florida, Palm Shores is conveniently surrounded by endless opportunities for entertainment and recreation. The beautiful Atlantic Coast is less than ten miles east of the community and residents often plan day trips to relax on one of the white sand beaches in the area. Situated between I-95 and the Florida Turnpike, travel is never an issue. Both major highways lead to nearby cities like Orlando to the north and Miami to the south. Residents of Palm Shores love Palm Beach County for the convenient location and scenic surroundings. There are plenty of activities available in Palm Shores. Here is a sample of some of the clubs, activities and classes offered here. Single-family homes are available in this community on a resale-only basis and range from approximately 1,806 to 2,104 square feet of living space with two to three bedrooms, two bathrooms, and an attached two-car garage. Some of the great features included in these homes are large master bedrooms, eat-in kitchens, and screened patios perfect for entertaining guests or just relaxing. Please Note: Floor plans are not available at this time. 55places.com is not affiliated with the developer(s) or homeowners association of Palm Shores. The information you submit is distributed to a 55places.com Partner Agent, who is a licensed real estate agent. The information regarding Palm Shores has not been verified or approved by the developer or homeowners association. Please verify all information prior to purchasing. 55places.com is not responsible for any errors regarding the information displayed on this website.